Is it silver, silver plate or alpaca ? British sterling silver is easy to identify as it has always has a lion stamped on it. But what do the other marks mean? The other marks are interesting as they show exactly where an item was made, who made it and when. This hallmarking identification dates from AD1300 and is still being used today. a: The maker's mark:- usually consists of two initials and the maker. b: The assay office:- is the mark of the city where the assay office was situated. Most commonly seen is a Leopard’s head from London, an anchor for Birmingham and the crown for Sheffield. c: The date letter:- shown using a different letter for each year and every 20 years the font of the letter and/or the shape that surrounds the letter changes. d: The sterling silver lion mark. This is the British assay mark proving that the piece has been tested as 92.5% pure silver with an additive of 7.5% usually copper. e: The duty mark:- this is shown as the monarchs head and proves that the taxes have been paid on the item. This mark was used between December 1784 and April 1890. If there are no marks, then it is NOT sterling silver. You may need a magnifier or jeweller's loupe to find the mark, but it will be there if it is English silver. Sheffield plate is produced by fusing sheets of silver to the top and bottom of a sheet of copper, making a 'silver sandwich' which was then worked into finished pieces using the same process as items made of solid sterling silver. However silver plate is when a thin layer of pure silver is deposited by a process of electrolysis onto the surface of an item already made from a base metal such as copper, brass or nickel. This process was invented in1805. If your item has EP, EPNS stamped on it, then it is electroplated silver and it is NOT sterling silver. Manufacturers are not allowed to use the word sterling on plated items. . In 1823 the German company Bendorf AG trademarked the name Alpaca. Alpaca is also known as Nickel of German ‘silver’. It is made of a non-precious bright silvery-grey metal alloy, a mixture of zinc, copper and nickel and sometimes iron and made to imitate silver. Alpaca does NOT contain any silver and is not silver plate. 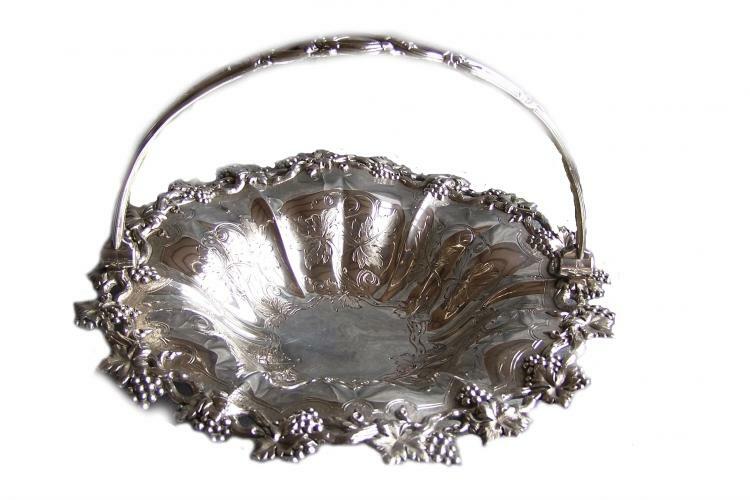 For more information this link is a reference guide to silver marks found on antique and vintage silver and silverplate. This article is only an introduction to silver identification. As with any antique purchase we recommend you buy from a reputable source and learn as much as you can before investing in an expensive item.